Will others follow Arizona’s lead on immigration? Arizona’s bill orders immigrants to carry their alien registration documents at all times and requires police to question people if there’s reason to suspect they’re in the United States illegally. It also targets those who hire illegal immigrant day laborers or knowingly transport them. Critics, including immigrant advocates and the American Civil Liberties Union of Arizona, are concerned that the legislation will foster racial profiling, arguing that most police officers don’t have enough training to look past race while investigating a person’s legal status. Hethmon cited the election year, the Democratic leadership’s position on the issue and the tough economic times as catalysts for introducing legislation. “Historically, not only in the U.S. but in virtually all industrialized nations, when the unemployment rates go up … the public becomes much less sympathetic toward programs which bring in large numbers of foreigners as workers and economic players,” he said. Omar Jadwat, the staff attorney with the ACLU‘s Immigrants Rights’ Project, said following in Arizona’s footsteps would take states in the wrong direction. “Although we are aware that people are trying to convince other legislatures to go down this path, I think it’s clear that both as a policy matter and a legal matter, that Arizona’s approach is the wrong one,” he said. “We have not seen this kind of legislation since the Jim Crow laws. And targeting our communities, it is the single most largest attack on our communities,” she said. ‘Illegal’ is not a race, it’s a crime. “We do not tolerate those who break into our country, just like we don’t tolerate those who break into our homes,” he said. SAN FRANCISCO — Perhaps only in California could a group of marijuana smokers call themselves fiscal realists. Supporters of a ballot measure that would tax and regulate marijuana in California say it could raise $1.4 billion a year. Plants in Humboldt County, Calif., grown for medical use. And yet, faced with a $20 billion deficit, strained state services and regular legislative paralysis, voters in California are now set to consider a single-word solution to help ease some of the state’s money troubles: legalize. On Wednesday, the California secretary of state certified a November vote on a ballot measure that would legalize, tax and regulate marijuana, a plan that advocates say could raise $1.4 billion and save precious law enforcement and prison resources. Indeed, unlike previous efforts at legalization — including a failed 1972 measure in California — the 2010 campaign will not dwell on assertions of marijuana’s harmlessness or its social acceptance, but rather on cold cash. Supporters are hoping to raise $10 million to $20 million for the campaign, primarily on the Internet, with national groups planning to urge marijuana fans to contribute $4.20 at a time, a nod to 420, a popular shorthand for the drug. The law would permit licensed retailers to sell up to one ounce at a time. Those sales would be a new source of sales tax revenue for the state. Opponents, however, scoff at the notion that legalizing marijuana could somehow help with the state’s woes. They tick off a list of social ills — including tardiness and absenteeism in the workplace — that such an act would contribute to. The question of legalization, which a 2009 Field Poll showed 56 percent of Californians supporting, will undoubtedly color the state race for governor. The two major Republican candidates — the former eBay chief executive Meg Whitman and the insurance commissioner, Steve Poizner — have said they oppose the bill. Jerry Brown, the Democratic attorney general who is also running for governor, opposes the idea as well, saying it violates federal law. And while the Obama administration has signaled that it will tolerate medical marijuana users who abide the law in the 14 states where it is legal, a law authorizing personal use would conflict with federal law. Supporters of the bill say the proposal’s language would allow cities or local governments to opt out, likely creating “dry counties” in some parts of the state. The proposed law would allow only those over 21 to buy, and would ban smoking marijuana in public or around minors. Stephen Gutwillig, the California state director for the Drug Policy Alliance, a New York-based group that plans to raise money in favor of the measure, said he expected “a conservative implementation,” if passed. “I think most local jurisdictions are not going to authorize sales,” Mr. Gutwillig said. Local opt-out provisions are part of a strategy to allay people’s fears about adding another legal vice and to help capture a group considered key to passing the bill: non-pot-smoking swing voters. But Dan Newman, a San Francisco-based strategist for the ballot measure, said he expected broad, bipartisan support for the bill, especially among those Californians worried about the recession. “Voters’ No. 1 concern right now is the budget and the economy,” Mr. Newman said, “which makes them look particularly favorable at something that will bring in more than $1 billion a year.” Opponents, however, question that figure — which is based on a 2009 report from the Board of Equalization, which oversees taxes in the state — and argue that whatever income is brought in will be spent dealing with more marijuana-related crimes. Advocates of the measure plan to counter what is expected to be a strong law enforcement opposition with advertisements like one scheduled to be broadcast on radio in San Francisco and Los Angeles starting on Monday. The advertisements will feature a former deputy sheriff saying the war on marijuana has failed. Not everyone in the community is supportive. Don Duncan, a co-founder of Americans for Safe Access, which lobbies for medical marijuana, said he had reservations about the prospect of casual users joining the ranks of those with prescriptions. Still, the idea of legal marijuana does not seem too far-fetched to people like Shelley Kutilek, a San Francisco resident, loyal church employee and registered California voter, who said she would vote “yes” in November. What to make of this outburst? It is not right on the merits. If any country is responsible for protectionism and for politicizing the exchange rate, it is China: Beijing’s leaders have made a political decision to peg their currency at an artificially low level, handing their exporters a competitive advantage. Yet China’s outburst reflects the insecurity behind its confident facade. It serves as a reminder of how autocratic political systems suffer from the lobbies and gridlock that bedevil democracies. The reminder is timely because China’s financial comeback has made autocracy look good lately. The country’s export-driven growth model made it acutely vulnerable to the global slump; at the end of 2008, growth fell to almost zero. Then China roared back, growing at 8.7 percent last year. No rival comes close to matching its dynamism. But the currency flare-up hints at China’s vulnerabilities. The government engineered its comeback with desperate measures: As well as the announced budget stimulus, it embarked on a largely unannounced monetary stimulus, which consisted of ordering banks to shovel loans out the door as fast as possible. Now, inflation is rising; the banks are wallowing in loans that will never be repaid; and the government is scrambling to close the monetary spigot. As the United States may discover in its turn, withdrawing a stimulus can be difficult. The first worry for China is that lending won’t come down fast enough. Banks have made commitments to finance projects and cannot easily back out; besides, money may leak into bubbly real estate projects via channels that circumvent the banking system. Moreover, even if lending is reined in, the banks may do so inefficiently: China sets monetary policy by targeting the quantity of loans rather than their price, so powerful state-owned enterprises are liable to get capital while more productive private firms are starved of it. Meanwhile, ambitious provincial politicians such as Bo Xilai, the party boss in the western city of Chongqing, may defy the central government. If he wants bank loans to build popular projects such as affordable housing, it may be hard to stop him. So while China’s leaders frequently sound smug, they are nervous. In the news conference at which he chastised Obama, China’s premier also referred menacingly to “the unsteady, uncoordinated and unstable development of the Chinese economy.” Amid all the uncertainty about how to let the air out of an asset bubble and bring runaway bank lending under control, the last thing Chinese leaders seem to want is to abandon the yuan’s peg to the dollar, which they regard as a source of stability. Again, though, this view is wrong on the merits. Chinese growth is unstable partly because of the yuan-dollar peg, which obliges the government to set interest rates with an eye toward the exchange rate rather than using them to manage the cost of capital. But the technocratic arguments are trumped by political pressures. Exporters lobby the government not to let the yuan rise, and the lobbying is effective. Nationalists reflexively oppose policies that Washington demands; no Chinese official wants to look soft on foreign policy. In conversations in Beijing this week, several Chinese analysts suggested that Google’s protests against Chinese hacking were a deliberate provocation orchestrated by the Obama administration. Such is the climate of suspicion toward Washington. Sooner rather than later, China needs to free its exchange rate and switch from rationing capital to pricing it. Sooner rather than later, China needs to rely less on exports that foreigners cannot afford to buy without borrowing too much and setting the stage for another credit crisis. But while China’s autocratic system was good at quickly delivering a stimulus, it is not so good at tackling trickier structural challenges such as revamping its currency policy. Good at spending money but not good at complex reform? Does that sound a little like American democracy? States suffering through tough times are reaching for a tonic. Lawmakers in several states with tight control of liquor sales are considering legislation that would shift the job to private industry, saving money and raising revenue. Associated Press Bill Oldenburg stocks shelves at a Seattle state liquor store in June. One bill calls for Washington’s liquor board to improve revenue and efficiency. Vote: State government or private enterprise: Who should control liquor sales? Some states are seeking a windfall by auctioning licenses to private companies to run the retail operations. Others are considering selling distribution centers. Also, privatization would remove costs including paying employees and overhead such as energy bills. Virginia, North Carolina, Washington, Vermont and Mississippi are all weighing proposals that would reduce the powerful roles they play in the distilled-spirits or wine businesses through state-run distributorships or retail stores. Alcohol is a potential remedy to revenue-hungry states because such sales usually remain relatively stable in economic downturns, and expanding sales outlets can lift tax receipts. 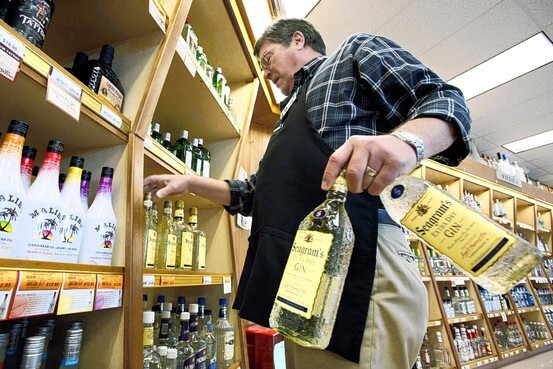 Colorado began permitting private retailers to sell distilled spirits seven days a week in 2008, adding an extra day of sales for the shops, and potential revenue for the state. As soon as this spring, Pennsylvania plans to start letting consumers buy wine at automated kiosks within grocery stores, another potential tax-revenue boost for state coffers. The privatization faces resistance from religious groups, labor unions and mom-and-pop shops, suggesting how economics are trumping other concerns in the struggle to overcome the recession. When Prohibition was repealed in 1933, the federal government gave states the power to regulate sales. Some states chose more-active roles than others, believing that operating distributorships or stores could help control consumption and mitigate social consequences. Liquor companies, perhaps wary of getting into a public fray with anti-alcohol forces, have avoided lobbying on the issue. Some liquor-company officials say privately that privatization might result in more outlets, helping them level the playing field with beer and wine. The Distilled Spirits Council of the United States, representing giants such as Diageo PLC, said it is neutral on the proposed bills. So, too, did the Wine & Spirits Wholesalers of America, which represents major liquor distributors. It is typically more difficult to buy spirits than beer in states in where the government dominates liquor retail sales. Virginia’s Republican governor, Bob McDonnell, made the privatization of state liquor stores a key plank of his campaign last year. He said Virginia could generate a short-term windfall of $500 million by privatizing its liquor stores. Virginia faces a budget deficit of $4 billion. Virginia Sen. Mark Obenshain, a Republican, has introduced legislation that would require the state to auction off retail licenses to sell distilled spirits. The state would continue to collect taxes on liquor sales, along with annual licensing fees. Virginia’s effort is being opposed by the Virginia Assembly of Independent Baptists, which represents about 500 Baptist churches and has helped defeat similar proposals in the past. “We oppose anything that we think would expand the sale and use of alcohol,” said Jack Knapp, the group’s executive director and lobbyist. Proponents in Virginia and other states also face opposition from lawmakers, labor groups and others who are reluctant to see state jobs eliminated. In Washington, Tim Sheldon, a Democratic state senator, is pushing for the state to turn over its liquor distributorship and retail system to private industry. He said state government needs to become more efficient, and getting out of the liquor business is one way to do that. 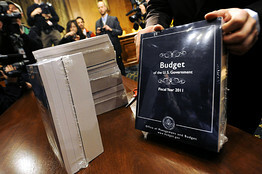 Washington faces a $2.6 billion deficit for the two-year fiscal period ending in mid-2011. But Mr. Sheldon’s proposal, which he said could raise about $350 million of revenue over five years, was watered down in committee. Now, the bill only calls for the state liquor board to study ways to increase efficiency and revenue. Mr. Sheldon said he will continue his push. Washington’s Democratic governor, Christine Gregoire, has signaled she won’t support various privatization proposals, at least in the current legislative session ending March 11. “It doesn’t address the biggest financial crisis that we face at the moment,” said Viet Shelton, a spokesman for the governor, referring to the state’s $2.6 billion budget gap. In North Carolina, Democratic Gov. Bev Perdue has asked her independent Budget Reform and Accountability Commission to place a dollar value on the state’s 411 alcoholic-beverage stores and the state’s wholesaler, along with possible options for changing the system. Mississippi’s Republican governor, Haley Barbour, has proposed turning over the distribution of wine to private industry, which could raise an additional $2.5 million annually. In Vermont, Democratic state senator Claire Ayer has proposed legislation that would turn spirits distribution over to private industry, potentially saving a few million dollars annually. How to Make a Weak Economy Worse FDR’s war against business showed that a president must choose between retribution and recovery. Mr. Obama might want to stick to a moderate approach. FDR’s war against business played to the crowd, but it hurt the economy. While monetary policies impeded recovery in the late 1930s, it was the administration’s assault on companies and capital that ensured the Depression’s duration. Roosevelt had initially opted for safety and picked relatively moderate advisers. His first Treasury Secretary, William Woodin, was a railroad executive. Roosevelt also kept over a Hoover-era official, Jesse Jones, at the TARP of the day, the Reconstruction Finance Corp. James Warburg, the son of Wall Street banker Paul Warburg, also joined the team. In the crucial days before March 5, 1933, when FDR declared a “bank holiday” to halt the bank run, New Dealers worked with Republicans to resolve the financial crisis. When it came to reforming Wall Street, they were likewise measured. Yes, they created the Securities and Exchange Commission. But their regulation seemed designed to serve markets, not stamp them out. At least mostly. Though there was nothing establishment about the centerpiece of the early New Deal, the National Recovery Administration, it was friendly to big business. Indeed, too much so. Under the NRA, the largest players in each industrial sector were judged too big to fail not because their failure would create systemic financial risk—the argument for banks today—but rather in the faith that firms of such scale could serve as engines of recovery. And Roosevelt, like Presidents Obama and Bush, dumped billions in cash onto the country. There was, not surprisingly, a Roosevelt market rally, just as there has been an Obama rally. But complete recovery proved elusive. The public spending programs had less effect than hoped. Smaller firms complained, accurately, that the NRA’s minimum wages and limits on hours disadvantaged them. Unemployment was still high. FDR knew he could not keep asking Congress to authorize enormous outlays forever. Frustrated, the president shifted to retribution. By 1935, FDR decided that firms, especially big firms, were impeding recovery. They must now redeem themselves and save the economy by sacrificing—or else. The attacks started with taxes. In 1935, well before the “hatred” speech, FDR led Congress in passaging a law that replaced a flat rate on corporate income with a graduated rate—itself a penalty on larger firms. Personal income taxes went up, as did other rates. In 1936 FDR signed into law the undistributed profits tax, which aimed to force reluctant firms to disgorge cash as dividends or by paying higher wages. This levy too was graduated, with a top rate of 27%. The 1935 Wagner Act was a tiger that makes today’s union law look like a pussycat. It favored unions over companies in nearly every way, including institutionalizing the closed shop. And after Roosevelt’s landslide victory in 1936, the closed shop and the sit-down strike stole thousands of productive workdays from companies, punishing earnings and limiting ability to hire. Of particular relevance today was Roosevelt’s switch on antitrust policy. The large companies once rewarded by the NRA now became targets. The final front of the war was utilities, the country’s most hopeful industry. FDR’s 1935 law, the Public Utilities Holding Company Act, made it so difficult for private-sector firms in this industry to raise capital that it was called a death sentence. Ultimately the war abroad required FDR to give up his war at home. Now the same industries that had been under prosecution were at the War Production Board, signing contracts. Scholars have argued that wartime spending ended the Depression. But the truce with business played an important role. The 1930s story suggests not that any individual reform is wrong per se. It reminds us rather that frustrated presidents are inconsistent, that antibusiness policies are cumulative, and that hostility yields more damage than benefit. Presidents can choose between retribution and recovery. They cannot have both. Miss Shlaes, a senior fellow in economic history at the Council on Foreign Relations, is author of “The Forgotten Man: A New History of the Great Depression” (HarperCollins, 2007). The Obama administration is seeking a record $708 billion for the Defense Department in fiscal 2011, as the U.S. military continues to wrestle with a mounting bill for operations in Iraq and Afghanistan while trying to better equip itself for small-scale conflicts. The budget request released on Monday reflects Defense Secretary Robert Gates’ drive to bolster the Pentagon’s unconventional-warfare capabilities needed in today’s operations. That means increasing funding for programs such as unmanned aerial vehicles, which are used currently for targeting enemies in Afghanistan and Pakistan. At the same time, Mr. Gates is seeking to reduce or eliminate more ambitious high-tech weapons systems that he feels drain financial resources. “Making these tough decisions and trade-offs is especially important in the constrained budget environment we face today, and almost certainly will face in the future,” Mr. Gates said. To achieve that, the White House is trying again to kill off two programs that survived last year with the help of Congress: alternate engines for Lockheed Martin Corp.’s F-35 fighter and Boeing Co.’s C-17 transport plane. Mr. Gates said it was time to “take a final stand” against Congress’s repeated funding of the F-35 alternate engine design and said he would go so far as to recommend that Mr. Obama veto a defense bill that includes money for it. The Obama administration’s first budget, for fiscal-year 2010, succeeded in canceling or curtailing some of the defense industry’s most prized weapons programs. The Defense Department’s base budget request is $548.9 billion. That request is 3.4% above 2010’s level. The Obama administration also wants an additional $159.3 billion in war costs for fiscal 2011, in part to cover intensified operations in Afghanistan. The White House is also seeking $33 billion in additional war costs for 2010. Efforts to train and equip Afghan security forces, a cornerstone of the U.S counterinsurgency strategy there, will require $11.6 billion. The largest spending increase is in the department’s operations and maintenance account, which could rise about 8.5% to $200.2 billion if the administration gets its way. Such funding is used for everything from civilian pay to fuel to spare parts. The proposed weapons plans would save some $3.1 billion, according to the administration. Overall, the funding put aside to buy military hardware is set to rise by 7.7%, to $112.9 billion. A significant portion of this funding will be spent on battle-ready weapons like helicopters from Boeing and United Technologies Corp.’s Sikorsky unit that see heavy use in current military operations. Mr. Gates said the Pentagon is buying as many of General Atomics Aeronautical Systems Inc.’s armed Reaper drones as it possibly could, which reflects the military’s growing appetite for better battlefield intelligence. The biggest single weapons program is the F-35 or Joint Strike Fighter, which will receive about $10.9 billion in the base budget. Despite the strong funding, Mr. Gates said he was unhappy with development issues, and that Lockheed would forfeit $614 million in fees. President Barack Obama’s budget plan would raise taxes on big businesses in ways that would spread the impact more broadly than last year’s budget proposal. Overall the fiscal 2011 budget plan would raise a total of about $468 billion from businesses over the next 10 years, compared to about $410 billion in last year’s budget proposal. That’s in addition to almost $1 trillion in planned increases on mainly high-income individuals. 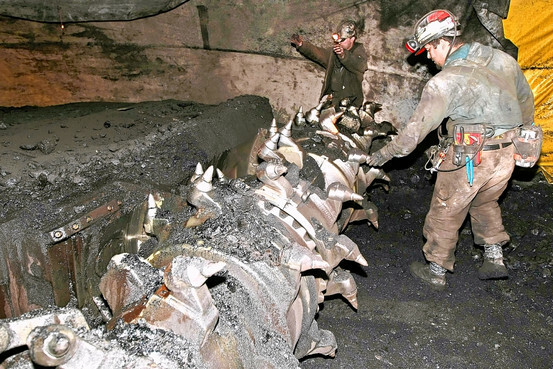 Associated Press A mine operator inspects the teeth of a machine at the Horizon Coal Mine outside Helper, Utah in March. The administration also plans a range of more modest tax cuts, many of them aimed at helping small businesses generate more jobs. The outlook for Mr. Obama’s proposals in Congress is highly uncertain in an election year. Last year, the administration’s proposal to increase multinational companies’ taxes on their overseas earnings by about $210 billion foundered amid furious opposition from business leaders. This year the White House has trimmed the size of its international tax increases to about $122 billion over the next 10 years, mainly by dropping or reducing proposals curbing companies’ ability to park their overseas earnings in offshore tax havens. BBut there are substantial increases proposed in other levies. U.S. oil and gas and coal producers; producers of cellulosic ethanol made from paper byproducts; employers who pay unemployment taxes; owners of rental property; and companies that rely on independent contractors could all face higher tax burdens if the plan released Monday is adopted. 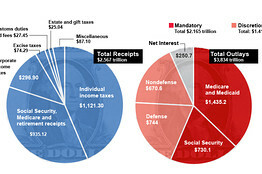 A look at how the Obama administration is counting on bringing in revenue and spending it in fiscal 2010. Learn more about the process through which the annual federal budget is authorized by Congress and signed by the president. More interactive graphics and photos. Multinationals also would face new restrictions on their ability to shave their tax bills by transferring valuable intellectual property to offshore subsidiaries. The administration already had announced a $90 billion tax on big banks to help defray the costs of bailouts. The administration plan will put lawmakers under pressure. Businesses will fight raising taxes in a still-sluggish economy. But Congress also faces demands to reduce swelling budget deficits. Those pressures will be all the greater because Congress also must address the expiration of the Bush-era tax cuts at the end of 2010. Extending those tax cuts for lower- and middle-income people will create a further drain on the federal budget. So Congress could be looking to businesses as well as high-income individuals to make up some of the difference. Businesses already were preparing their arguments against the new proposed tax increases. High tech companies—which include some of the most important U.S. multinationals—also say that the changes to the administration’s international proposals aren’t enough. Multinationals are looking for tax breaks—preferably a cut in the U.S. corporate income tax rate—in exchange for accepting curbs on their ability to avoid taxes on overseas earnings. They point out that virtually all of their overseas rivals can avoid home-country taxes on their international earnings. WASHINGTON—President Barack Obama’s 2011 budget proposes to boost education spending 9% to advance its overhaul of federal school-funding policy that has emerged as a rare patch of common ground for the administration and some Republicans. At the same time, Mr. Obama is using his 2011 Education Department budget proposal to signal plans to revamp the Bush Administration’s No Child Left Behind policies, which have stirred opposition from some teachers and school administrators. Mr. Obama states his intention to scrap the Bush-era accountability standards for a new system to be negotiated with Congress. Administration officials say that talks with Congress on how to revamp the No Child law remain preliminary. Most of the additional $4.5 billion in spending proposed for the Education Department is slated to fund competitive programs, making the budget a key part of an administration bid to transform how local school officials interact with the federal government. Under the proposed new rules, states and school districts will be judged, among other things, on whether they are promoting higher testing standards and enforcing teacher accountability. Those that aren’t will lose out. “This is a philosophical and strategic shift,” says Education Secretary Arne Duncan. 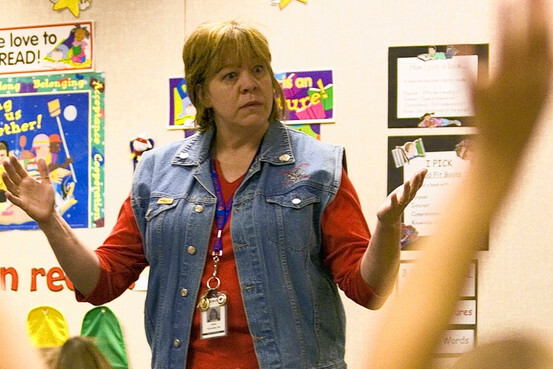 Some critics question whether it makes sense to ramp up education funding so quickly. “I am skeptical about adding money at a time of fiscal austerity when it’s not clear that it is really driving reform,” says Jeanne Allen, president of the Center for Education Reform, an advocacy group that supports charter schools, which receive public money but are run privately. 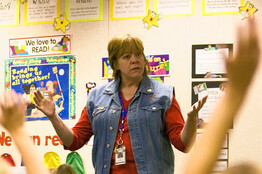 Associated Press A school nurse teaches first-graders how to avoid spreading germs at Rock Creek elementary school in Beaverton, Ore., in September. That administration’s efforts have won praise from Republican lawmakers and prominent conservatives, including former House Speaker Newt Gingrich, who has traveled the country promoting the policies with Mr. Duncan. The budget seeks $1.35 billion more for the competitive “Race to the Top” grant program, which was launched with $4.35 billion as part of last year’s stimulus program. Forty states have applied for a first round of money, which will be awarded to states according how they stack up on such criteria as testing standards, data collection and graduation rates. Most of the remaining new money would go to a mix of competitive programs to turn around failing schools, improve teacher training and boost high-school graduation rates. Andrew Smarick, a former Education Department official in the Bush administration, applauds the tilt toward competitive funding but notes it will leave the bulk of funding unchanged. “It’s not yet the revolution they are suggesting,” he said. Taxes on high-income earners would rise by nearly $1 trillion over the next 10 years, under the budget plan put forward by President Barack Obama on Monday. The bulk of that increase comes as tax cuts enacted under President George W. Bush expire at the end of 2010. The top two income-tax rates, which affect people earning more than $200,000 a year, or $250,000 for married couples, will return to 36% and 39.6%, from 33% and 35% now. 7:22The president’s $3.8 trillion budget will move deficit levels to an all-time high. 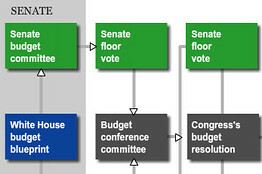 The News Hub discusses the budget’s chance for passing Congress. Under the budget plan, capital gains and dividends would be taxed at 20%, up from 15% now, for people at those income levels. Limits on upper-income people’s ability to claim personal exemptions and itemized deductions will also snap back next year, without any action needed from Congress. But as in last year’s budget, Mr. Obama proposed Monday to go further by limiting the value of those benefits, which include deductions for mortgage interest and some charitable contributions. The highest-income earners under current law can lower their taxes by up to 39.6% of those deductions; under Monday’s proposal, that would be reduced to 28%. The bid to lower the limit on itemized deductions stalled in Congress last year amid strong resistance from Democratic and Republican lawmakers. It is also opposed by a battery of interests including Realtors and charities. Fund managers would see their partnership profits taxed at ordinary income rates, rather than the lower capital-gains rate, under Mr. Obama’s proposals. That plan—also proposed in last year’s budget—passed in the House but has had trouble getting off the ground in the Senate, where lawmakers of both parties worry that a tax increase on so-called carried interest could harm entrepreneurship and investment. Supporters of the president’s plan say it is unfair that fund managers’ income should be taxed at a lower rate than wages. Mr. Obama proposed reinstating the estate tax, which was repealed for one year on Jan. 1, at the levels in effect last year—or 45%, with an exemption for estate wealth under $3.5 million—and extending those rates permanently. 5:13Taxes on the wealthy would rise by almost a billion dollars over the next 10 years under a proposed budget plan announced today by President Obama. As Dow Jones Newswires’ Martin Vaughan explains to Kelsey Hubbard on the News Hub, the Obama budget would allow tax cuts enacted under the Bush administration to expire. He proposed putting limits on the use of family trusts that have helped wealthy families lower their estate-tax liabilities, which the White House estimates would increase government revenue by $23.7 billion over 10 years. Mr. Obama would extend the Bush tax cuts, including the 15% rate on capital gains and dividends, for single taxpayers making less than $200,000 and couples earning less than $250,000. But he dropped a request to make permanent the payroll tax credit that fattened worker paychecks by $400 per person in 2010. In Monday’s budget blueprint, Mr. Obama proposed extending only through 2012 that credit, which was his signature tax-cut proposal for middle-class workers during his campaign. Other tax cuts aimed at helping low- and middle-income people, released ahead of Monday’s broader announcement, were also proposed. Those include a doubling of the child-care tax credit, and an expansion of the federal matching contribution for low-income savers.